Users can greatly improve their own data privacy by simply updating their software. Companies can increase user trust in their products and user privacy by implementing Lean Data Practices that increase transparency and offer user control. By taking action on these two simple ideas, we can create a better Web together. Updating your software is a basic but crucial step you can take to help increase your privacy and security online. Outdated software is one of the easiest ways for hackers to access your data online because it’s prone to vulnerabilities and security holes that can be exploited and that may have been patched in the updated versions. Updating can make your friends and family more secure because a computer that has been hacked can be used to hack others. Not updating software is like driving with a broken tail light – it might not seem immediately urgent, but it compromises your safety and that of people around you. For our part, we’ve tried to make updating Firefox as easy as possible by automatically sending users updates by default so they don’t have to worry about it. Updates for other software may not come automatically, but they are equally important. 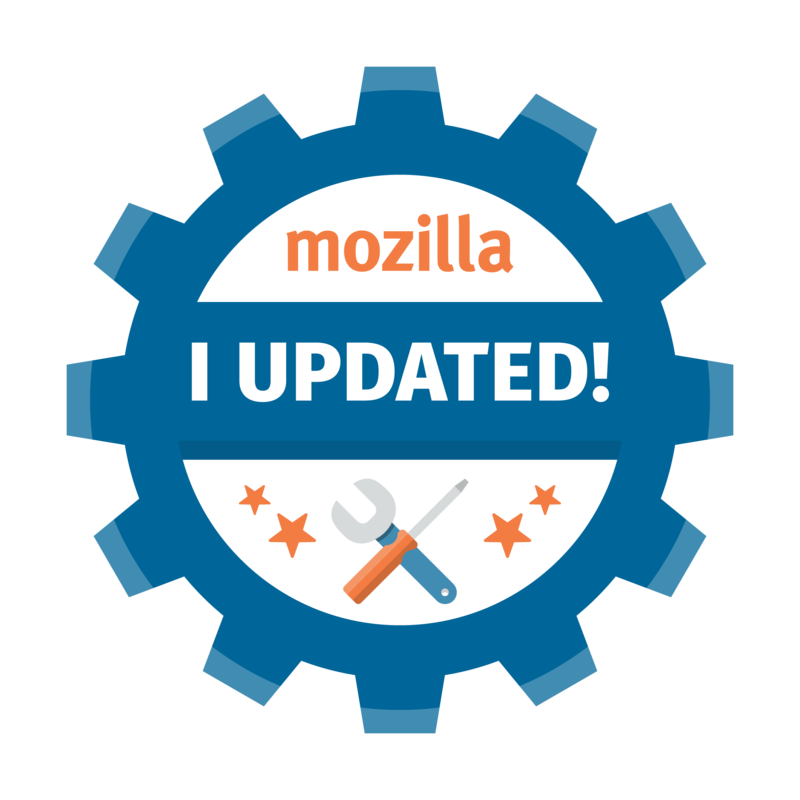 Once you complete your updates share the “I Updated” badge using #DPD2016 and #PrivacyAware and encourage your friends and family to update, too! Why should companies implement Lean Data Practices? Today we’re also launching a new way for companies and projects to earn user trust through a simple framework that helps companies think about the decisions they make daily about data. We call these Lean Data Practices and the three central questions that help companies work through are how can you stay lean, build in security and engage your users. The more companies and projects that implement these concepts, the more we as an industry can earn user trust. You can read more in this blog post from Mozilla’s Associate General Counsel Jishnu Menon. As a nonprofit with a mission to promote openness, innovation and opportunity on the Web Mozilla is dedicated to putting users in control of their online experiences. That’s why we think about online privacy and security every day and have privacy principles that show how we build it into everything we do. All of us – users and businesses alike – can contribute to a healthy, safe and trusted Web. The more we focus on ways to reach that goal, the easier it is to innovate and keep the Web open and accessible to all. Happy International Data Privacy Day!